Welcome to La Beauté Medical Aesthetics, where we can make all of your dreams come true about your face and body. Developing a loving relationship with your body starts with you. It starts with you deciding to make a change and sticking to it. At La Beauté Medical Aesthetics, we can help you make a change in your lifestyle. Our non-invasive cosmetic services can provide you with a more youthful glow, thinner thighs, and even hormone replacement therapy to help you live a higher quality of life. Our services aren’t just about making you feel good about yourself, though; it also helps you live a life that’s fuller and more satisfactory. If you want to look younger, thinner, and more beautiful, then our non-invasive cosmetic procedures can help you achieve your dreams. Do you want to take advantage of one of our services, but your insurance won’t pay for it? Do you want to look and feel better, but you’re pinching pennies? We completely understand, which is why we have financing options. At La Beauté Medical Aesthetics, we offer financing through CareCredit. CareCredit is a cosmetic and beauty financing method that makes our services more convenient and the financing portion much easier. If you’re pinching pennies, but you want to take advantage of our financing options, then you’re in luck because you can utilize CareCredit. So what is CareCredit and how does it work? Let’s find out! Our financing is offered through CareCredit. 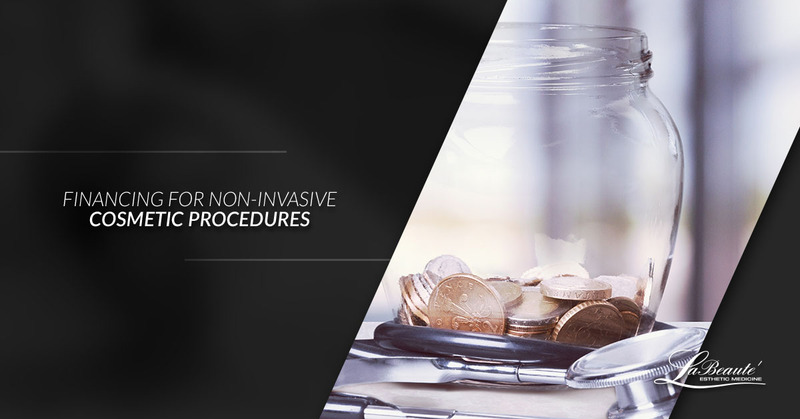 This method makes paying for cosmetic and beauty procedures much easier and efficient. For those who want to take advantage of our services, CareCredit is the best financing option for cosmetic and beauty procedures. With CareCredit, you will pay a monthly installment that fits within your budget. What’s great about this revolutionary financing options is how it gives you access to cutting-edge treatments that will help you feel better about your body and help you put your best foot forward. CareCredit can help pay for all of our non-invasive cosmetic procedures such as body contouring, injectables, skin tightening, acne treatments, and more. Also, it covers these procedures to help you get the body you’ve always wanted while staying within your budget. While every procedure we administer is valuable, feeling beautiful is invaluable. At La Beauté Medical Aesthetics, we offer services that range from acne treatment to injectables to give you a more youthful glow. While we’ve only recently opened our medical spa, our doctor has over a decade of extensive experience. Dr. Marina Bachurina has been practicing for many years and is a certified member of the American Board of Internal Medicine and the American Academy of Aesthetics Medicine. At La Beauté Medical Aesthetics, we strive to offer you the services that you need to feel more confident. Our transparent and consistent medical spa will provide you with superior patient care as well as high-quality customer service to ensure that you understand the procedure. If you’d like to schedule an appointment to learn more about what can be done to make you feel gorgeous, then contact us today.